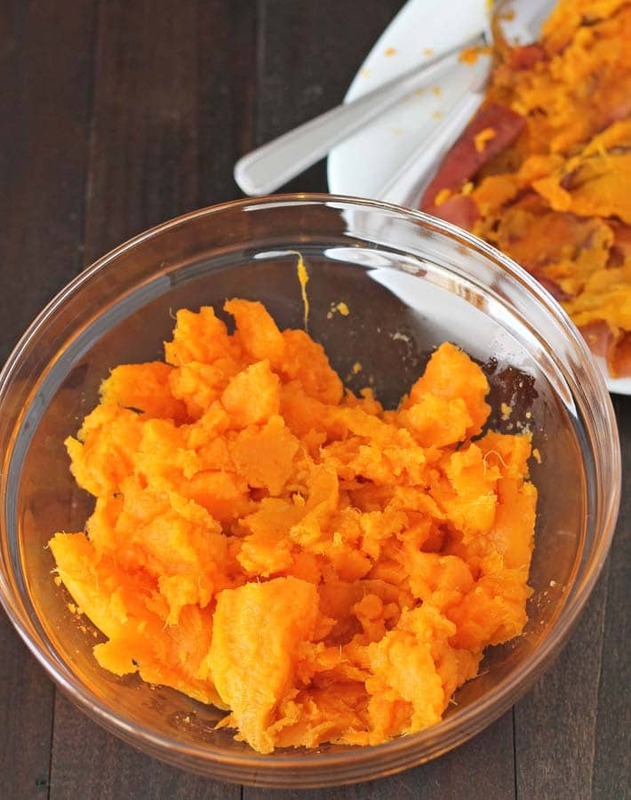 This is the best, no-fail way to make Instant Pot Sweet Potatoes! If you love fluffy, smooth, and silky sweet potatoes, this is the quickest and easiest way to make them so they always come out just like oven-baked sweet potatoes. And a bonus: Pressure cooker sweet potatoes finish slightly quicker than baking them (unless you’re making HUGE sweet potatoes!). See all the details below that you’ll need to make the best Instant Pot Sweet potatoes. Have you ever owned a kitchen appliance that you use so much, you wonder why you didn’t get it sooner? I use my Instant Pot several times a week and it has fit right into my kitchen and meal-making plans. I didn’t realize how much I loved it until recently, when I had a warranty issue and I had to wait for a replacement to be shipped to me. Thankfully, things are back to normal in my kitchen and I’m back to making all of my favourite Instant Pot Vegan Recipes! One of those recipes happens to be Instant Pot sweet potatoes! What’s better about cooking sweet potatoes in a pressure cooker? In almost all cases, it’s quicker. I don’t have to heat up the kitchen and use way more electricity by turning the oven on to bake one or a few sweet potatoes. If timed correctly, there’s no checking to see if they’re done. Set it and forget it and they come out perfectly every time! How long should sweet potatoes be pressure cooked? That depends on the size of your sweet potatoes. The potatoes you see in the images in this post are medium-sized and took 16 minutes, with natural release, to fully cook. 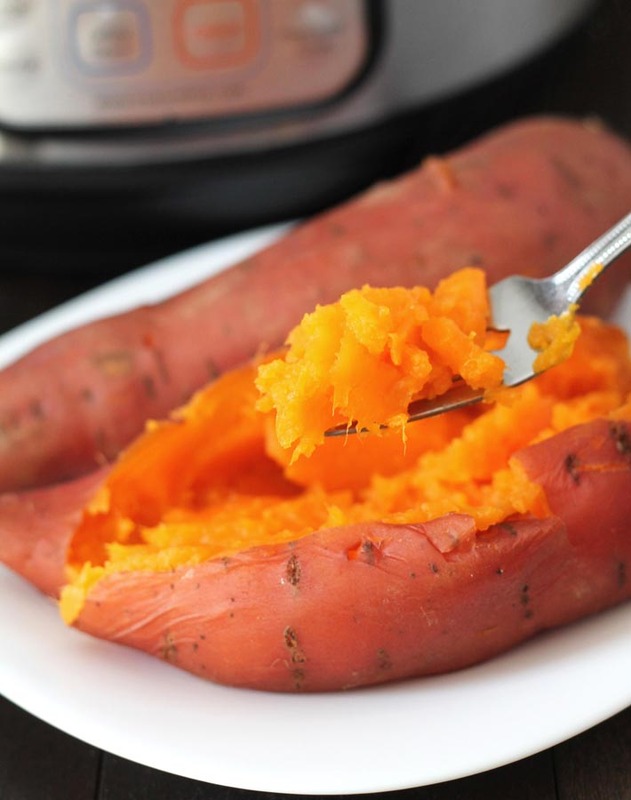 Once your Instant Pot has naturally come down from pressure, check each sweet potato by poking with a fork. If the fork slides through, then they’re good to go. Do I have to poke holes in my sweet potatoes before pressure cooking? I have never done this and have never had a problem. If you’d like to do this, go ahead, it won’t hurt or change anything. Can I pressure cook regular potatoes using this method? Yes, all steps will be the same, but the timing will be a little different, depending on the size of potatoes you’re making. If you’re a little hesitant to guess on the timing for regular potatoes, this is a good step-by-step to follow for Instant Pot Potatoes. 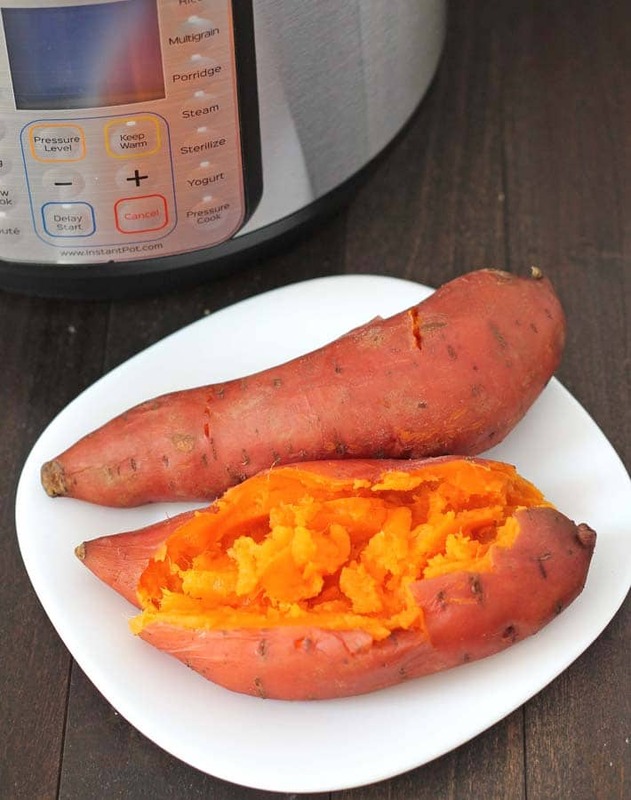 How can pressure cooker sweet potatoes be served? You can do so many things with them! 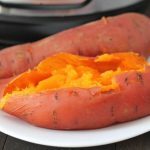 One of my favourite ways to serve Instant Pot sweet potatoes, and one of my favourite lunches, is splitting them, fluffing the insides, and topping with whatever I have on hand. I like to top with left over lentil sloppy joe mixture (also made in the Instant Pot!) 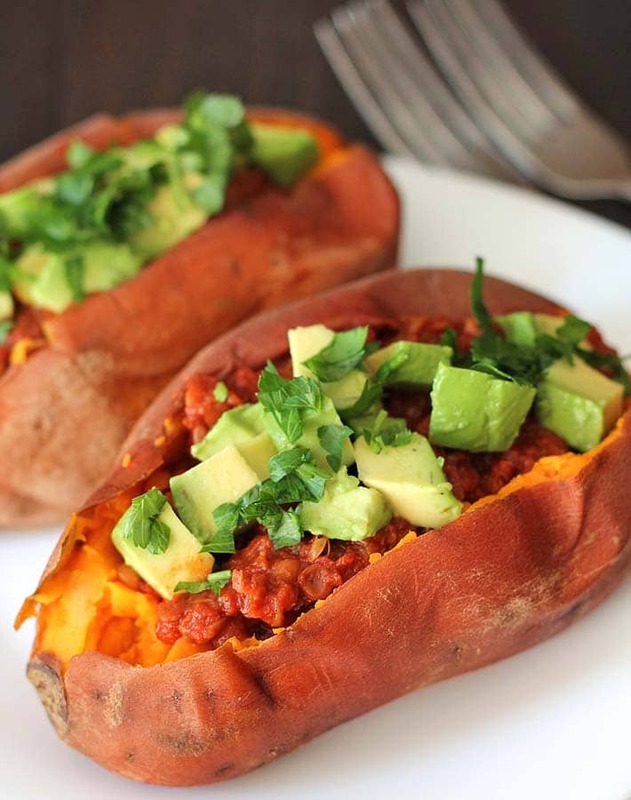 or my lentil sweet potato chili, along with freshly diced avocados, cilantro or parsley. You can also top with hummus or any other fresh vegetables and herbs you have around. future recipes (fully cool, separate into 1 cup portions, add to freezer-safe bags or containers, and freeze). It’s best to pressure cook sweet potatoes that are all similar in size so they will all cook properly. If you can’t do this, set the time based on the largest sweet potato. Keep in mind the time your pressure cooker will take to get to pressure and come down from pressure, before starting. If you’re a little worried that your sweet potatoes will not cook through because they’re on the larger side, add an extra 5 minutes to the times mentioned above and below. 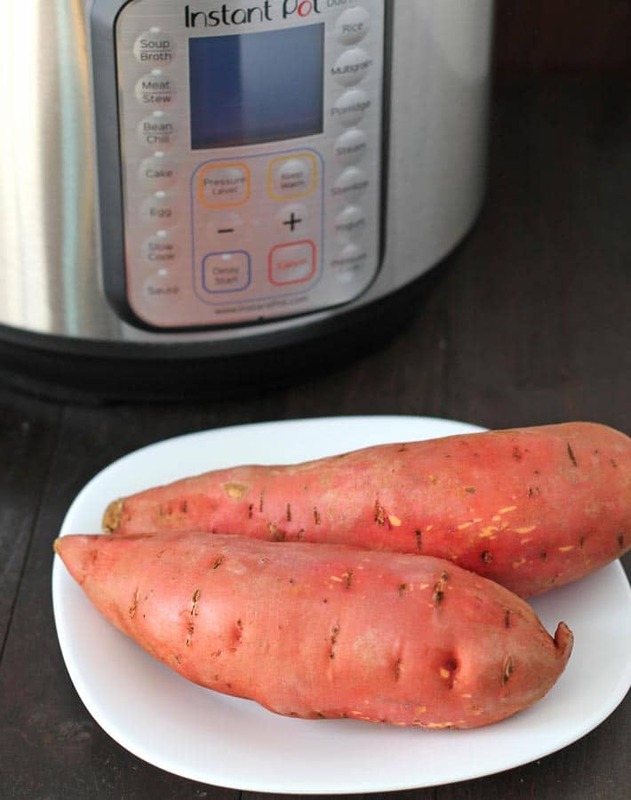 If your sweet potatoes are extremely large, you can cut them in half before placing into your Instant Pot. 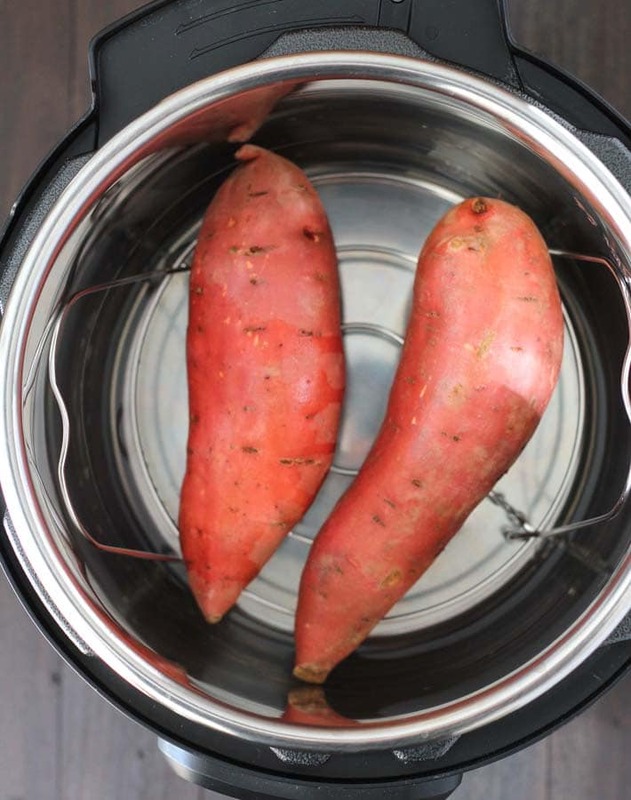 After they have finished, if a fork does not slide through your sweet potatoes when poked, put them back in the Instant Pot, add another 1/4 cup of water to what is already there and pressure cook for another 5-10 minutes. The same amount of water is to be used whether you are making 1 sweet potato or 4. So that’s a lot of info for some simple sweet potatoes, isn’t it?! I promise you it’s not hard or complicated, I just wanted to give you all of the info you’ll need to ensure that you end up with perfect, fluffy pressure cooker sweet potatoes, every single time. This is the quickest, easiest, no-fail way to make Instant Pot Sweet Potatoes! Your sweet potatoes will always be smooth, creamy, & quicker than baking. Scrub sweet potatoes with water until they are clean. Add 1 cup of cold water to your Instant Pot. Place the trivet in the Instant Pot and place sweet potatoes on the trivet. Lock the lid in place and make sure the steam release handle is closed. Set to manual high pressure for the correct amount of time, based on the size of your sweet potatoes. 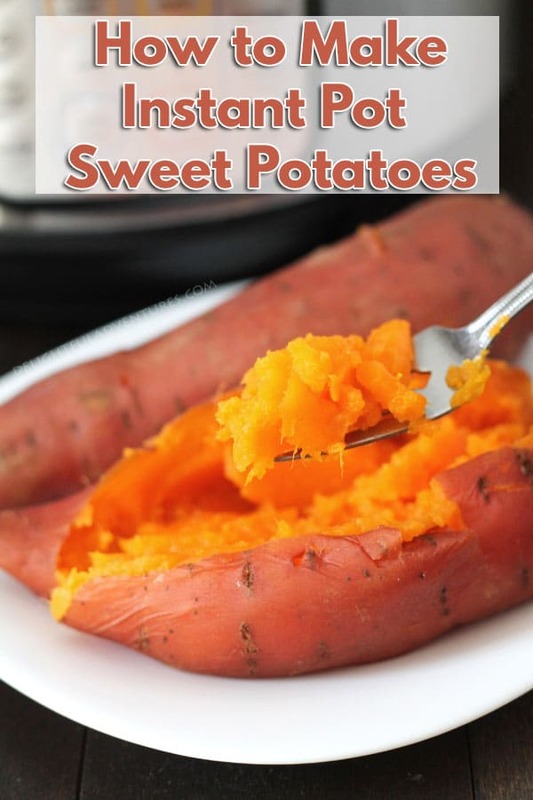 Small Sweet Potatoes (12 minutes) Medium Sweet Potatoes(16 minutes, Large Sweet Potatoes (22 minutes), Extremely Large Sweet Potatoes (27 minutes, or more). Instant Pot will take roughly 10 minutes to build pressure, timer will start counting down after it has reached pressure. After the time has ended, let the Instant Pot naturally release pressure. This will take up to 15 minutes. Once the pressure has been released naturally (you will know pressure has been released when the float valve has dropped back down), slowly unlock and remove the lid. Remove the sweet potatoes with tongs. Please read the FAQ and Tips for Success info above before starting. I use a 6-quart Instant Pot. If yours is larger, you will need to add a little more water. Nutrition info is for 1 medium sweet potato (130 g) with no toppings and is only to be used as a rough guide. Click to learn how nutrition info is determined on this website.